Some animals have developed awesome skills to help them survive and thrive. This series shines a spotlight on some of these talented animals and the skills that set them apart, including using tools, ambushing prey, and making clever traps to catch their dinner. This high-interest series pairs stunning visuals of animals with exciting text to introduce readers to the wonders of the animal kingdom. This series will spark the interest of reluctant readers and animal lovers alike. Chimpanzees don’t monkey around when it comes to using tools. 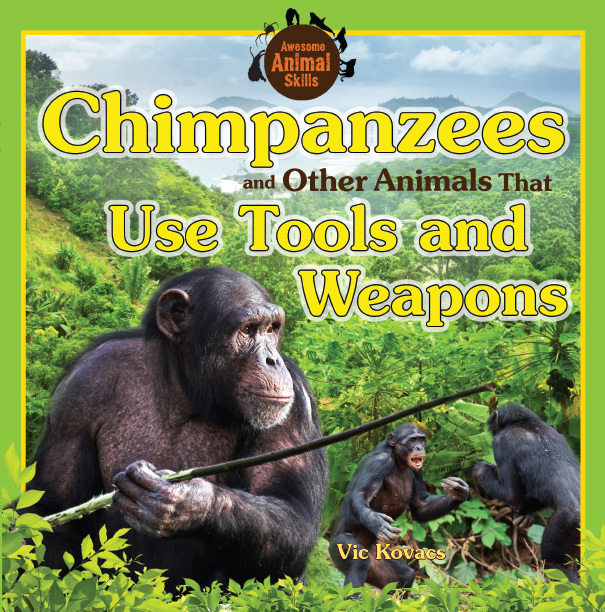 Readers will delight in this book about animals that use tools and weapons to keep them safe and make life easier. These highly intelligent animals include crows, dolphins, gorillas, and of course, the smart chimpanzee. Readers are given an overview of each animal, including its anatomy, habitat, and social structure, before learning about the tools they use and what they can do. 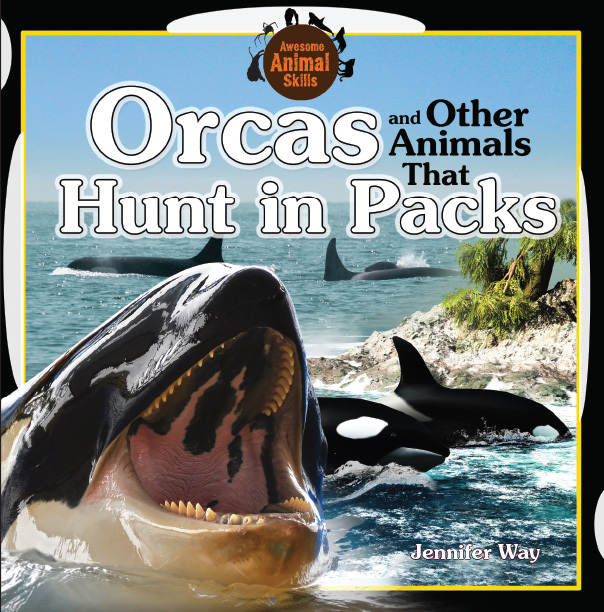 Vivid visuals and engaging text will grab the attention of even the most reluctant reader as they gain an understanding of animal behavior and ecosystems. 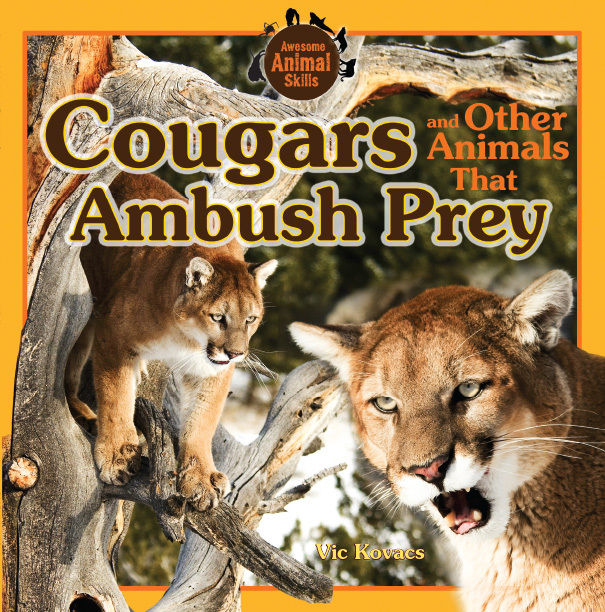 This book introduces readers to the fierce cougar, the master of the sneak attack. Readers will also learn about other animals that are excellent at the art of ambush, including leopard seals, crocodiles, praying mantises, and tigers. These hungry hunters will come alive as students learn about their habitat, social structure, and anatomy. Fascinating facts paired with eye-catching photographs will spark the interest of animal-loving readers and deepen their understanding of animal behavior and ecosystems. Some animals have developed special skills for hunting, and that’s bad news for their prey! Lions are known to stalk when they hunt, quietly pursuing their prey until they’re ready to pounce. Readers will learn about the lurking lion and other stealthy animals, such as polar bears, komodo dragons, jaguars, and great white sharks. 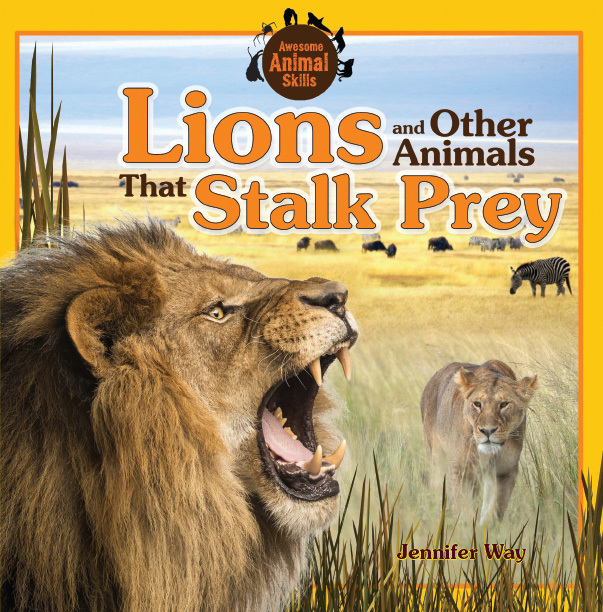 This book provides a fascinating introduction to each animal, including fun facts on their physical characteristics, habitat, and social structure, while describing their individual stalking technique. Readers will delight in the book’s information-rich text and stunning images, which are supplemented by a variety of riveting fun facts. What’s scarier than one predator coming your way? How about a whole pack! Orcas and other animals–such as piranhas, lions, hyenas, and humpback whales–have developed special strategies for hunting together, including excellent communication and ambushing techniques. Readers will love learning about these meat-eating mobs as the book introduces them to each animals’ habitat, anatomy, and social structure. Engaging text and vivid images will deepen readers’ understanding of each animal’s hunting technique and team strategy. A host of fascinating fun facts supplement this high-interest topic, giving readers a well-rounded and exciting reading experience. There are animals that hunt, and then there are animals that wait until their prey comes to them. These animals make terrific traps that are sure to snap up their dinner when it walks by. Readers will be fascinated by these trap-making animals, including spiders that throw nets and spit poison, alligators that lure birds onto their nose, and antlions that build pits for other animals to fall into. 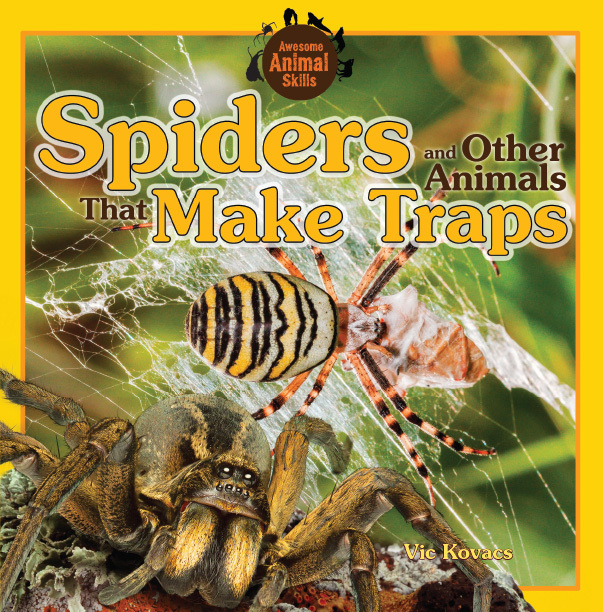 This book covers the animals’ habitats, social structures, and anatomy, while explaining how their traps work. Fact boxes supplement this high-interest topic and give a deeper understanding of animal behavior and ecosystems. Fascinating text and bright visuals will make these sneaky hunters come to life. In the animal world, it pays to be fast! This book introduces readers to several hunters with a need for speed, including African wild dogs, dragonflies, golden eagles, and of course, the tireless wolf. 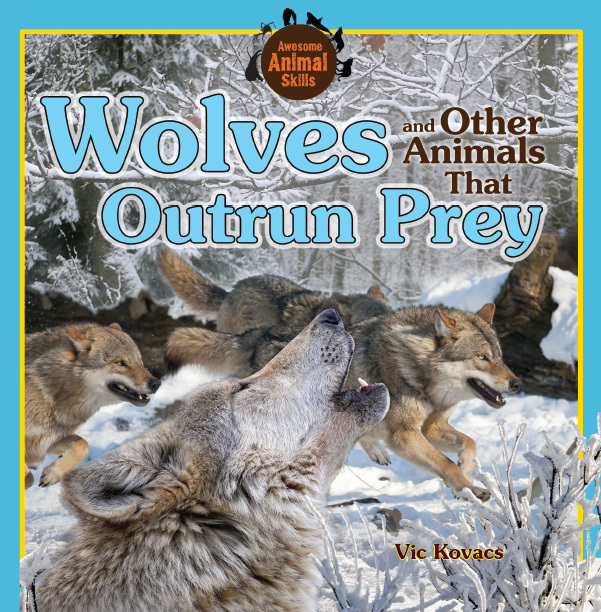 Readers will learn about the habitat and ecosystem of each animal, as well as the anatomy and features that give them the ability to outrun prey. Engaging text approaches the topic of animal behavior in a fun and dynamic way, while color photographs make the animals come alive for readers. Even reluctant readers will be hooked by this thorough and engaging book on nature’s daring racers. Series developed and produced for Rosen/Windmill Books by BlueAppleWorks Inc. Marketing copy courtesy of Rosen Publishing. Visit Site.